Early this year, Transportation Secretary Arthur Tugade said discussions on installing a cable car system had been revived to help ease road congestion. MANILA, Philippines — The French government has agreed to finance a feasibility study for the proposed urban cable car project in Metro Manila. According to the Department of Transportation, France gave the Philippines a direct grant amounting to €450,000 to jumpstart the feasibility study, which will last for 10 months. The DOTr said results of the study would help Philippine transport officials determine whether a cable car system is economically and financially viable in some areas in the capital. “It is the DOTr that has been pushing for a feasibility study on a cable car project in the country. 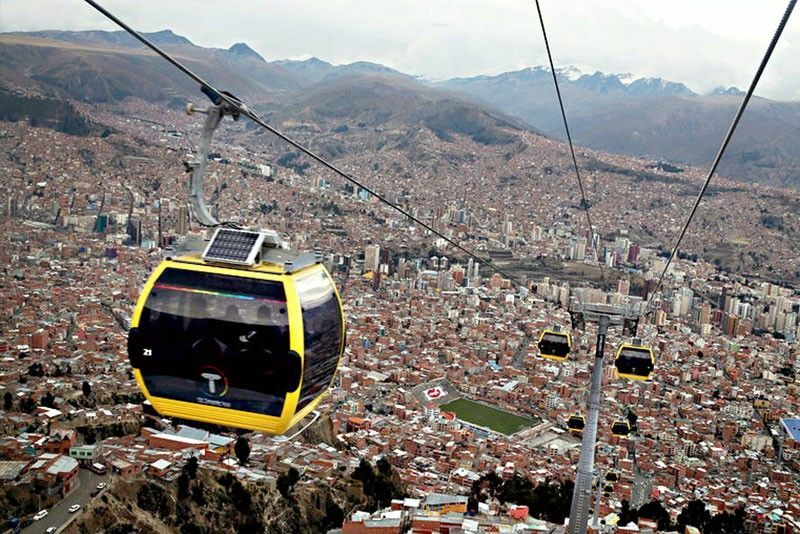 France was engaged in the process given that it has one of the best urban cable car systems in the world," the agency was quoted as saying in reports. "Please note that this grant is merely for a feasibility study. The implementation phase will proceed based on the results of this study," it added. Early this year, Transportation Secretary Arthur Tugade said discussions on installing a cable car system had been revived in a bid to help ease road congestion. When Tugade assumed his post, he said the Philippines could learn from Bolivia, which used the cable car system to address traffic woes. On Wednesday, the transportation chief said he wants a cable car system that would connect La Union to Baguio City, and Caticlan to Boracay. FROM INTERAKSYON: Can Tugade’s proposed cable cars cure Metro Manila traffic woes?